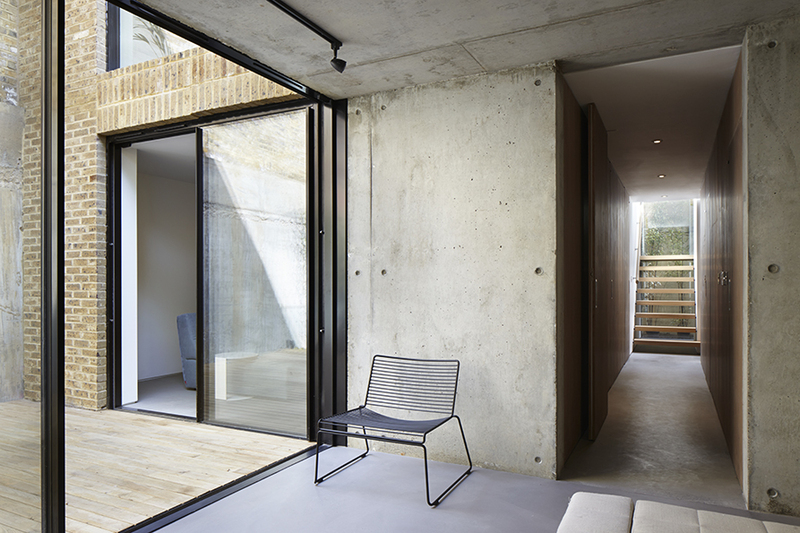 Lansdowne Gardens is a new three bedroom house that follows the form of an earlier derelict building. 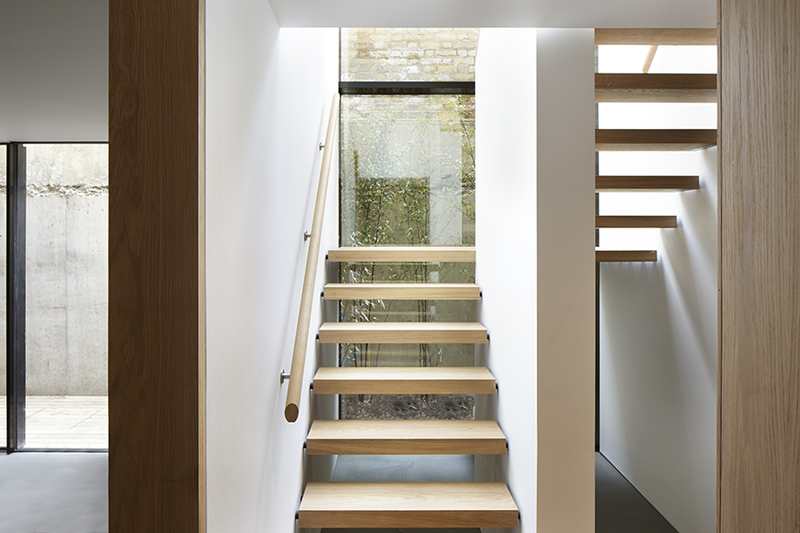 The scale of the building is not revealed until entry, where a dramatic two storey glazed elevation highlights a feature staircase connecting the ground floor with the basement. 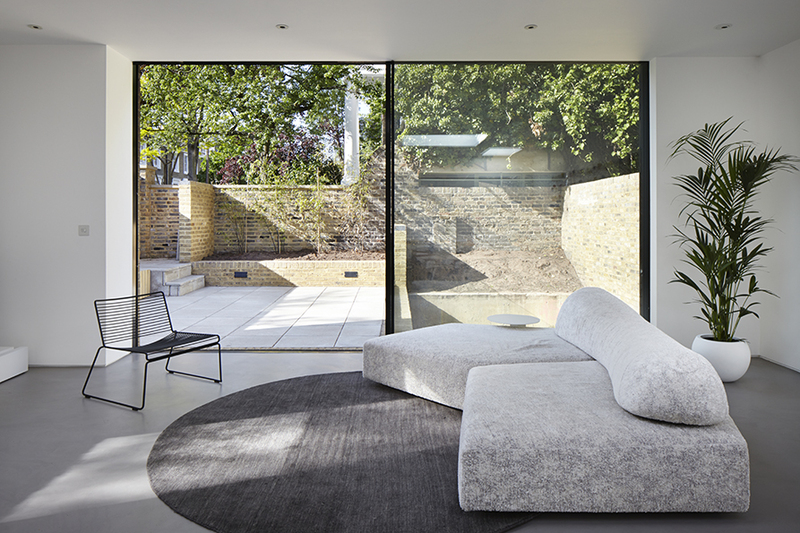 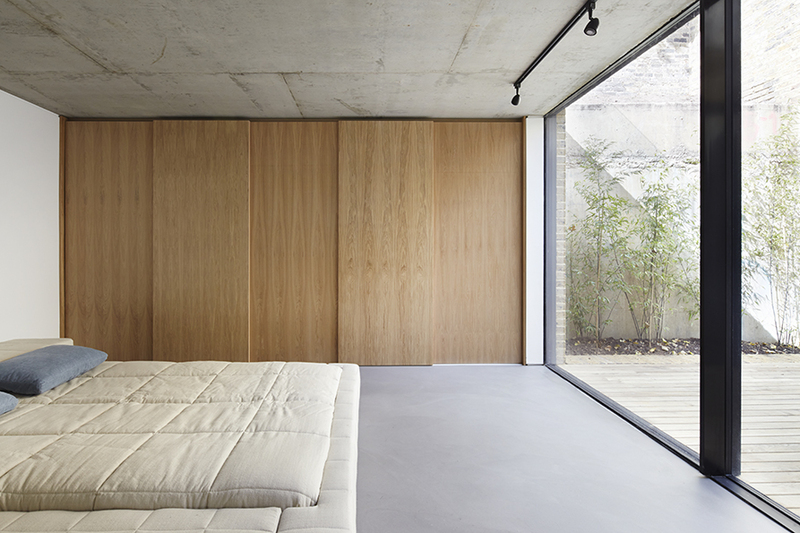 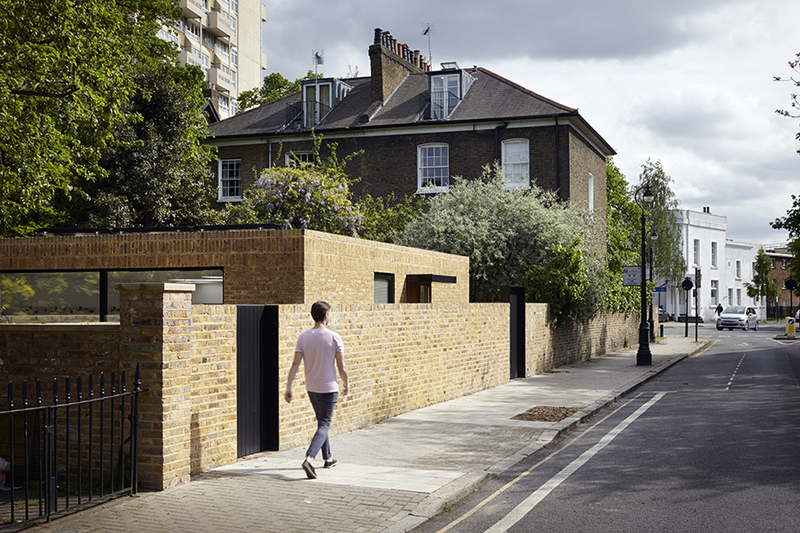 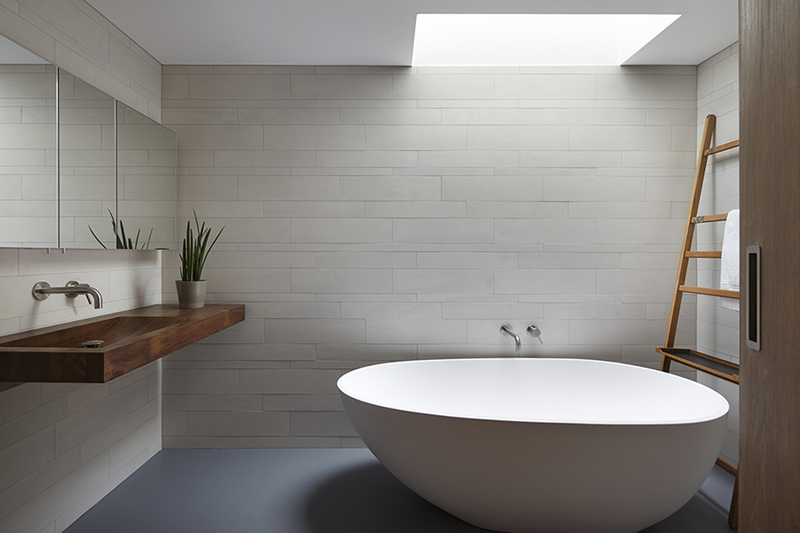 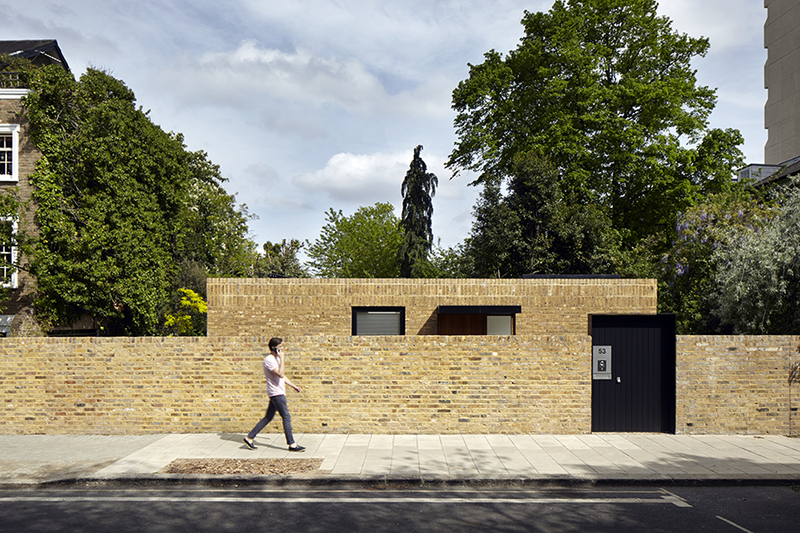 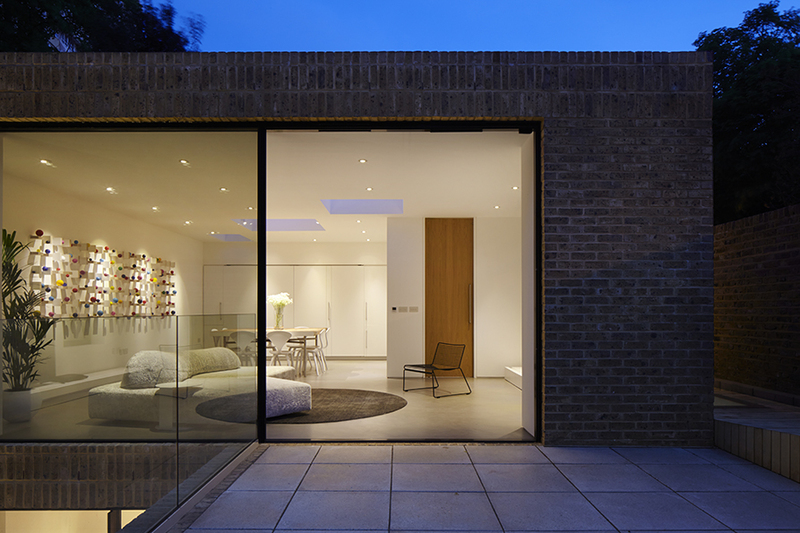 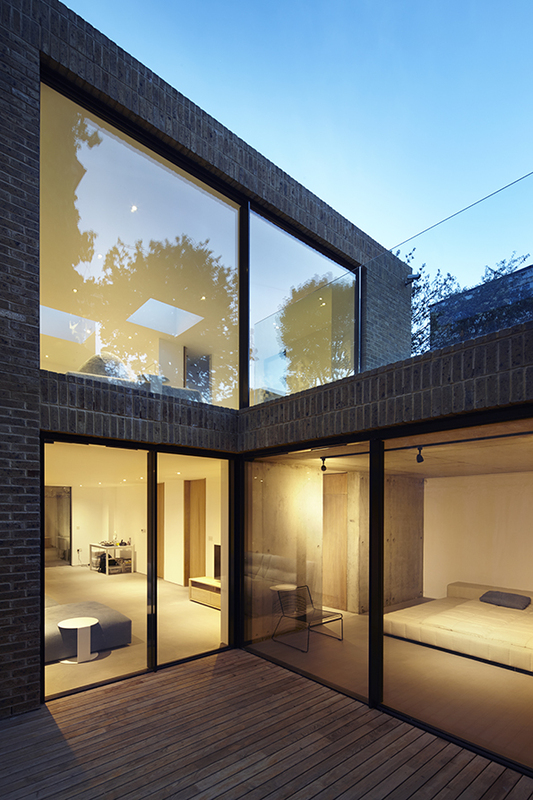 The external minimalistic approach is continued internally, with oversized glazing used throughout the house to both draw attention to outdoor living and allow large levels of natural light to enter the basement level.